It is a holy endeavor to protect someone's dignity. Water offers a path to dignity for every person. Water offers each of us a way to make that path possible. kids living past that 5th birthday? Water is a child's burden. FACT: Fifty percent of undernutrition in children is due to inadequate water and sanitation. 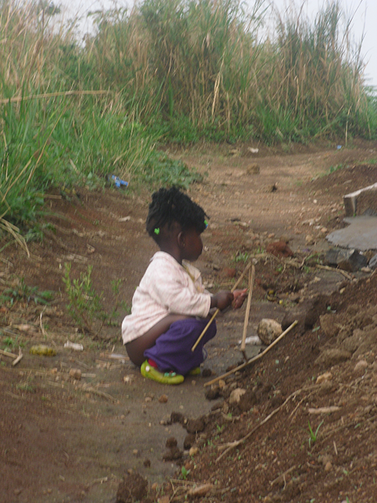 FACT: Diarrhea and pneumonia are the two leading causes of child death and both are frequently caused by unsafe water. 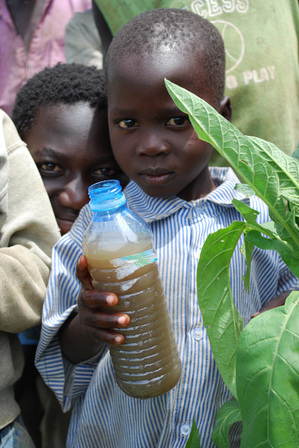 FACT: One-third of school-age children in developing countries are infected with intestinal worms from water. FACT: 272 million school days are lost due to diarrhea. Water is a woman's burden. FACT: Faced with humiliation, girls drop out of school when they reach puberty and don't have facilities to take care of their hygiene needs. FACT: Bodies break under the heavy buckets, jars and jerry cans filled with water that makes their families sick. They have no choice. Water is a health burden. FACT: 663 million people today lack access to safe water and 2.4 billion (one sixth of the world) doesn't have the dignity and safety of a toilet. FACT: At least 1.8 billion people globally use a source of drinking water that is fecally contaminated. FACT: Fifty different diseases and illnesses are linked to unsafe water. FACT: Less than 10 percent of healthcare facilities have water, soap, toilets and sanitation. FACT: Newborns die from preventative, facility-acquired infections. FACT: Immuno-suppressed HIV/AIDS patients must take anti-retroviral drugs with filthy water that makes them sick and unable to properly absorb the medications. FACT: 17 different Neglected Tropical Diseases (NTDs) are caused by poor water and sanitation, but we’re curing NTDs with medication rather than preventing them with access to safe water and sanitation. Water is an economic burden. FACT: Lost working days due to poor sanitation result in nearly $4 billion in damage to the global economy. FACT: But more often, water offers a path to peace. Water is the world's dirty secret. Let's care about water like life depends on it. What do Jay-Z and Jane Goodall have in common? ﻿Faiths for Safe Water had the privilege to ask Dr. Jane Goodall about the global water crisis﻿﻿ at the Parliament of the World's Religions. National Geographic's The Burden of Thirst, is 2-minutes that will forever change your perspective. Working with MTV and UNICEF, Jay-Z's video diary offers a surprisingly personal reaction as he visits a village in the southern African nation of Angola. And make water the source of health and life for ALL. OUR FAITH VOICES and our wallets are influential. We can help ensure that sustainable clean drinking water and sanitation solutions are a part of all the global health and development work we do. Anything less is a plan that is guaranteed to fall short of its goals.